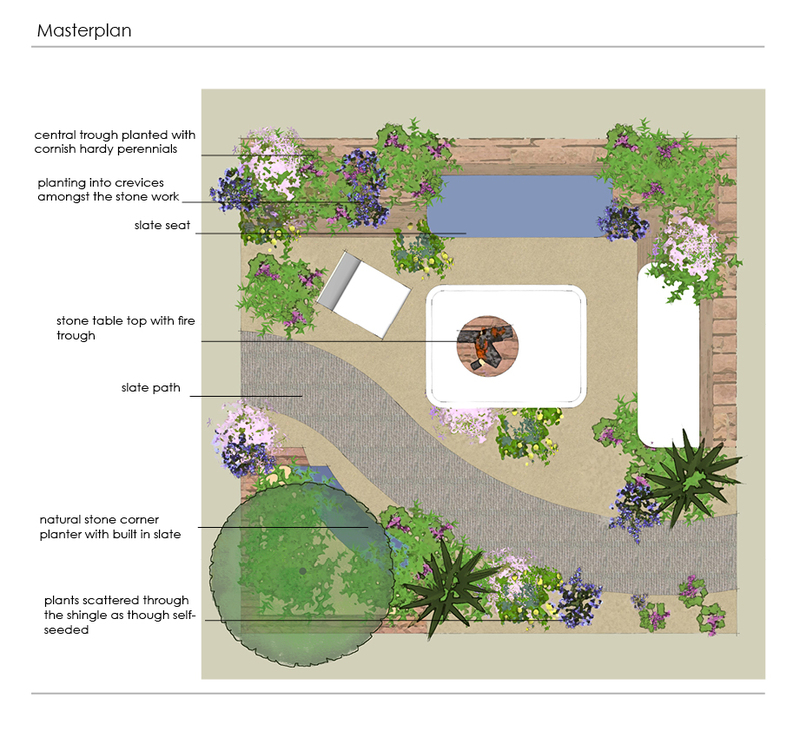 This Cornish courtyard garden was designed for a small coastal property. Its robust planting and warm stone walls are inspired by traditional earth-filled stone walls that proliferate along the north Cornish coast. These Cornish hedges are often smothered with colourful native plants. 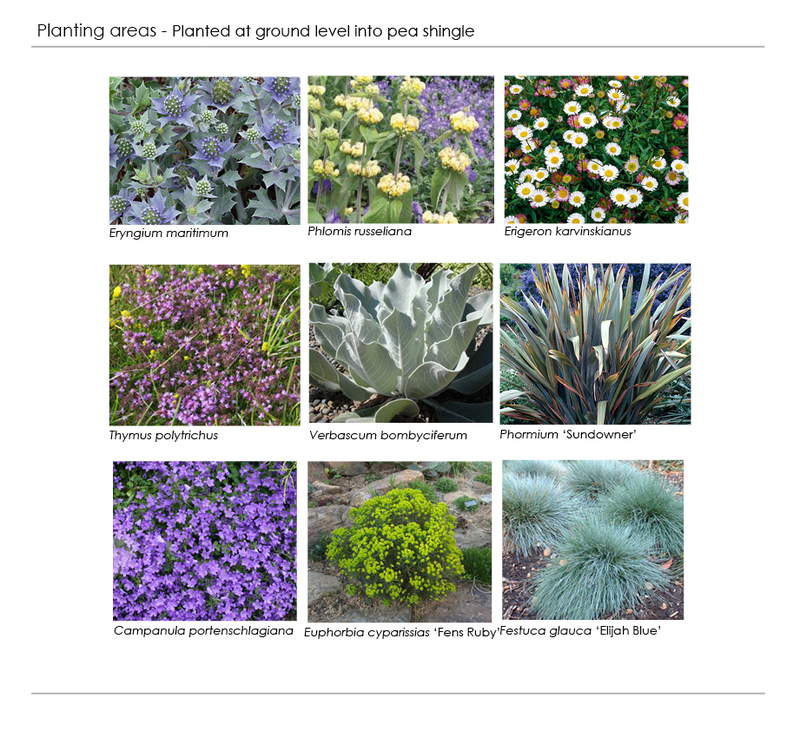 The garden combines some of these native wild flowers and plants from more Mediterranean climates. This robust naturalistic planting means that the garden is drought tolerant and low maintenance – ideal for a holiday property. Seats made of slate and limestone are recessed into the walls and provide a place to enjoy being enveloped by the planting that scrambles over the walls and floor. 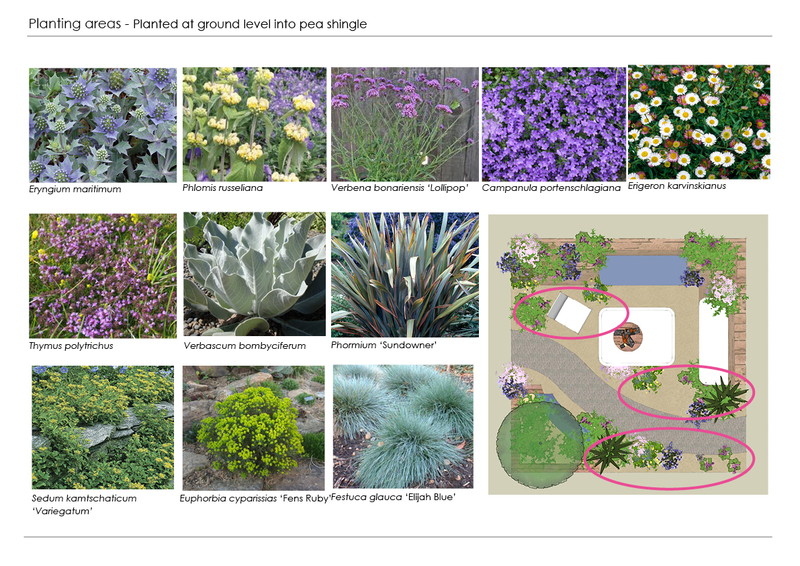 Perennials are planted through the gravel and self-seeding is encouraged . 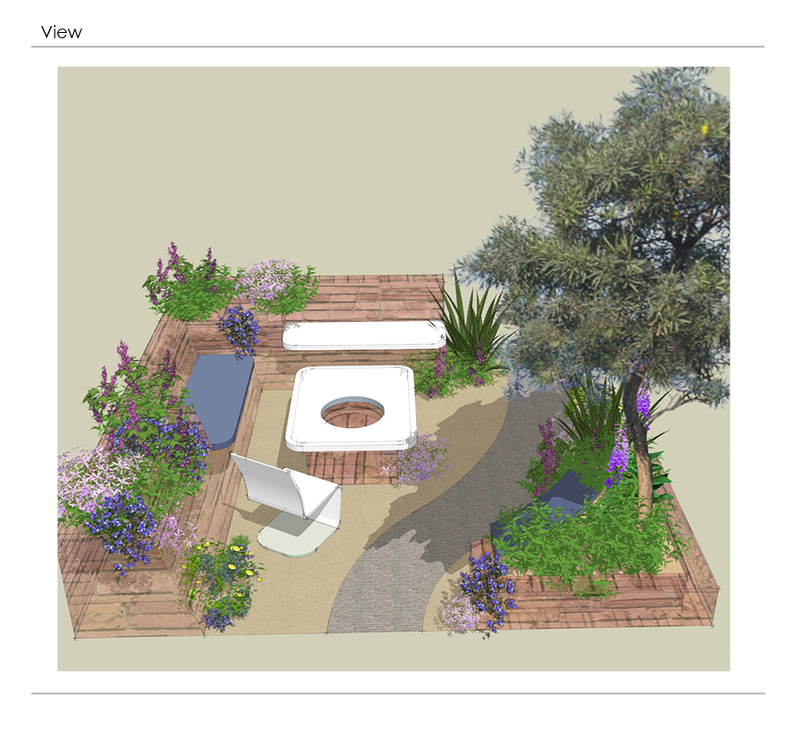 The stone table has a fire-pit centre to prolong enjoyment of the garden late into the evening.